Clean My Pavers has been restoring the beauty of paver features in residential and commercial properties across the state. 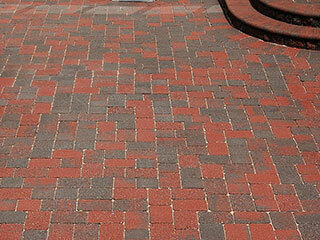 Our decades of experience in this highly specialized task make us the leading paver cleaning company in Pennsylvania. In fact, we have a long list of satisfied clients from Malvern Villanova, Glen Mills, West Chester, and surrounding areas who can attest to our expertise and capabilities in this field. Call us now so we can also protect and restore the beauty and functionality of your hardscape investment. You may call us at (610) 459-3466 or visit us at our office to discuss your concerns. As paver cleaning specialists, we can work on all types of paver features and amenities in residential and commercial properties. We have cleaned thousands of square feet of paver surfaces in Malvern Villanova and other areas we serve, all with commendable results. We also maintain paver amenities in several commercial establishments across the state. Our clients' overwhelming approval of our completed works is a proof that we are experts in what we do. Whether they hire us to clean stone paver patios or restore the luster of their concrete paver driveways, we are always ready for these tasks. 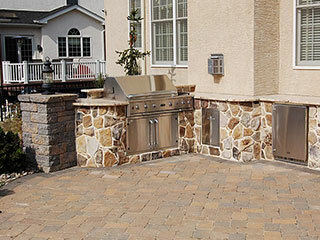 We also perform other related tasks such as paver restoration and repair. Just tell us your need or specific requirement and we will provide the right solutions. Whether the task involves structural improvement of an old driveway or reviving the elegant look of your patio, we have expert people and the necessary resources to get the work done. At Clean My Pavers, we have certified crews who are properly trained and skilled in cleaning various types of pavers. They know how to efficiently clean brick and concrete pavers, as well as natural stone pavers. Their experience is not only limited to residential paver amenities but also includes cleaning hardscape features in commercial properties. With us, you'll be assured of professional paver cleaning services done right the first time. Moreover, we always follow systematic and proven procedures to ensure excellent results. We consider the type of paver to be cleaned and the extent of dirt accumulation or contamination before we proceed with the paver cleaning job. Likewise, the techniques we use depend on the age of the paver surface that we have to clean. We also determine if the paved area is previously sealed so we can use the right cleaning tools and solutions. At Clean My Pavers, we can clean any size or type of paver surface. Clients from Malvern Villanova and other areas we serve can hire us to perform paver cleaning on patios or perform restoration works on commercial driveways. We can easily handle these tasks because of our complete tools and equipment. We have hot water power washers, scrubbers, and other paver cleaning tools. We also use environment-friendly cleaning solutions to effectively remove contaminants, such as oil, food stains, grease, tire marks, rust, bird dropping, polyhaze, and efflorescence. With our modern tools and proven cleaning products, we can perform the paver cleaning job in one day. Let us bring back the aesthetic appeal of your pavers by calling (610) 459-3466 today.